When you bring your Ford in for service. Located close to Wichita, Conklin Cars Newton has everything from Oil Changes, Brakes, Engine Diagnosis, Heating and Cooling service, & anything else your vehicle needs. Our Factory Trained Technicians will get you back on the road in Style. 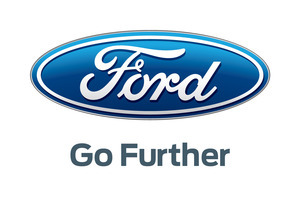 You and your Ford are important. Below is a list of just a few services we offer. Contact our friendly Service Advisers for any and all concerns you might have. They are very knowledgeable and helpful. Price valid for most models. Up to 2 gallons of coolant included, 3 or more gallons will cost extra. See Service Department for details. See dealer for details. Some exclusions apply. Pricing may vary. Some exclusions apply. See dealer for details. 2015 or newer prices may differ. See Service Adviser for detail. Price valid for most models. Price valid for most models. See Service Adviser for details. Complimentary Shuttle for any Service. We also have an on site car rental department to assist you while your vehicle is in our Service bay or Body shop.